Railpictures.ca - Matt Watson Photo: CP 575 makes it’s way along the Sutherland Sub with the KCS Veterans unit second out. | Railpictures.ca – Canadian Railway Photography – photographie ferroviaire Canadienne. 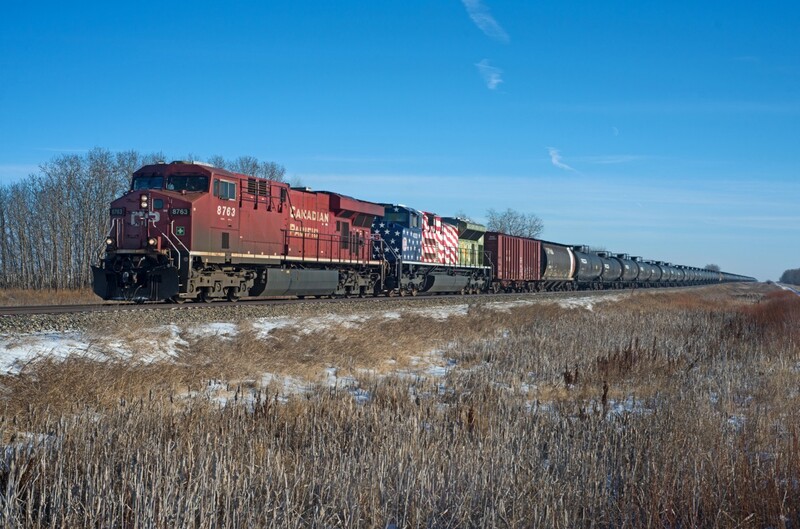 Caption: CP 575 makes it's way along the Sutherland Sub with the KCS Veterans unit second out. Nice you gave us the proof this unit actually was on a CP train. Amazing paint scheme and an amazing catch. You’ve captured a bewildering array of units in a land I keep thinking has little. I guess I am dead wrong.